The Abenaki People – Fighting the English – The Abenaki ,an Algonquian-speaking people, were a linguistic and geographic grouping, rather than a single tribe. The lived in New England and Canada. The Kaskaskia Tribe of Illinois – The Kaskaskia were a tribe of the Illiniwek Confederation and made their home was along the Illinois River near present-day Utica, Illinois. Haunted Historic Sites in Savannah, Georgia You Must Visit – Savannah has long been considered to be one of the most haunted in the U.S. Here are some historic places with a ghostly past. Contributor Anna Hicks explores. 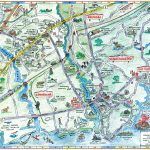 The Kennebunks of Maine – History Along the Southern Coast – The Kennebunks, comprised of Kennebunk, Kennebunkport, and Arundel are located on the southern coast of Maine and are rich in history. 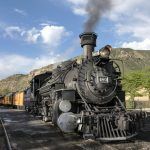 Durango, Colorado – Railroad Town of the Southwest – Durango, Colorado, located along the Million Dollar Highway, is the county seat La Plata County and the most populous town in southwest Colorado. September Newsletter – The latest from our world, including more from our Colorado adventure, more Colorado, Native American Ceremonies, historic text, specials and more. Durango & Silverton Narrow Gauge Railroad, Colorado – The Durango & Silverton Narrow Gauge Railroad, in continuous operation since 1882, makes its way 45.4 miles from Durango to Silverton, Colorado. The Silverton Railroad of the San Juan Mountains – The Silverton Railroad was a narrow gauge line from Silverton, Colorado that was built over Red Mountain Pass to the mining camps of Red Mountain. Ironton, Colorado – Supplying the Mining District – Located at the north end of the Red Mountain Mining District, Ironton, Colorado was established as a supply and shipping point for the area. 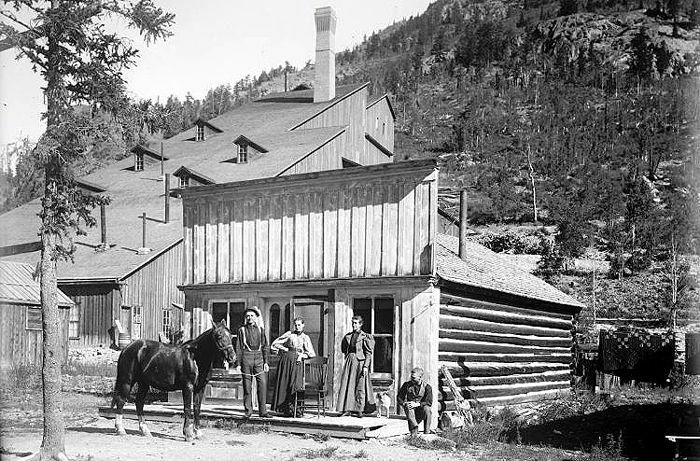 Guston, Colorado & the Yankee Girl Mine – Guston, Colorado, a ghost town in the Red Mountain Mining District, grew with the discovery of the Yankee Girl Mine. 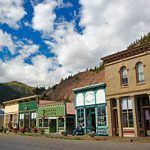 Guffey, Colorado – Quirky Mining Town – Guffey, in southern Park county Colorado, displays its historic charm in quirky detail to visitors looking for a scenic Rocky Mountain escape. Ouray, Colorado – Switzerland of America – Situated in the San Juan Mountains of southwest Colorado, the historic mining town of Ouray still showcases many historic buildings with a rich history. Red Mountain Mining District, Colorado – Little remains of the towns that once prospered in the district but, about 50 structures still stand in the area. Red Mountain Town – Queen of the District – The ghost town of Red Mountain Town, Colorado is located in the Red Mountain Mining District, about halfway between Silverton and Ouray. 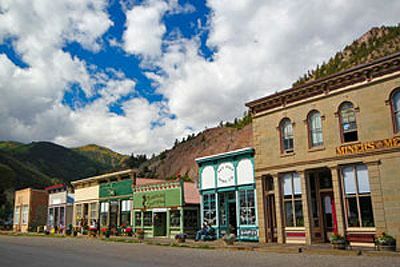 Chattanooga, Colorado – Silent Today – The ghost town of Chattanooga, Colorado was located in the Red Mountain Mining District about 7 miles northwest of Silverton, Colorado. 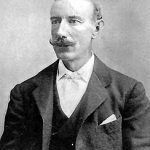 Earl Dunraven and the Estes Park Land Grab – Irish aristocrat Earl of Dunraven was much hated by Estes Park, Colorado residents as he wished to own and control all of the area. Rocky Mountain National Park, Colorado – Rocky Mountain National Park, in north-central Colorado, encompasses 415 square miles of spectacular scenery and is one of the most visited National Parks. 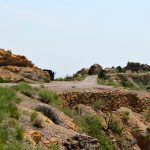 Canon City, Colorado’s Skyline Drive – Skyline Drive in Canon City, Colorado is a scenic and thrilling 2.6-mile road that provides unparalleled views of the area. 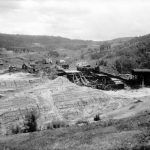 Eureka, Colorado and the Sunnyside Mine – The ghost town of Eureka, Colorado is situated between Silverton and Animas Forks. Its longevity was primarily due to the success of the Sunnyside Mine. 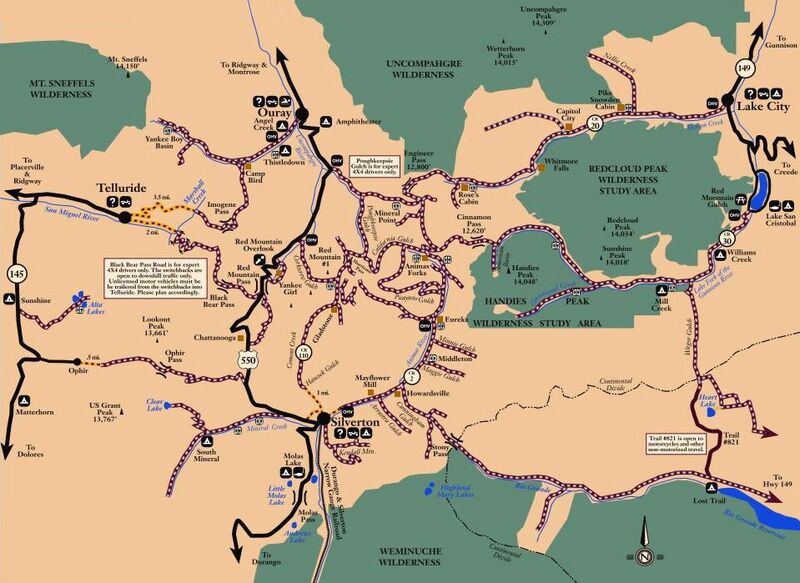 Alpine Loop National Backcountry Byway, Colorado – Tucked away in the San Juan Mountains of southwestern Colorado is one of the true gems of our public lands — The Alpine Loop Backcountry Byway. Animas Forks, Colorado – Favorite on the Alpine Loop – Animas Forks, Colorado is a ghost town located on the Alpine Loop Backcountry Byway about 12 miles northeast of Silverton in San Juan County, Colorado. Mineral Point, Colorado – The ghost town of Mineral Point, Colorado, located south of the summit of Engineer Pass in San Juan County was once the highest town in the county. Capitol City, Colorado – Capitol City, a ghost town located along the Alpine Loop Backcountry Byway, in Hinsdale County, once had aspirations of becoming the state capitol. Henson, Colorado and the Ute-Ulay Mines – Henson, Colorado is a ghost town on the Alpine Loop Backcountry Byway. The Ute-Ulay mining complex is listed in the National Register of Historic Places. Lake City, Colorado – Lake City, Colorado is the Hinsdale County seat and got its start as a supply camp for the area mines in 1874. Today it is a National Historic District. 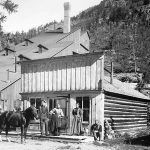 Carson, Colorado – Atop the Continental Divide – Sitting at an elevation of more than 12,000 feet near the top of the Continental Divide, Carson was one of the most inaccessible mining camps in Colorado. 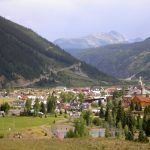 Sherman, Colorado – Situated along the Alpine Loop Back Country Byway in Hinsdale County, Colorado, the mining camp of Sherman sat an elevation of 9,560 feet. Burrows Park, Colorado – Burrows Park, Colorado is located along the Hinsdale-San Juan county line. It gained its name for Charles Burrows who prospected the area in 1873. Silverton, Colorado – Silverton, Colorado, a former silver mining camp, is nestled high in the San Juan Mountains. It is a popular tourist destination today. 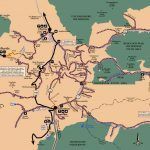 Early Mining and Transportation in Southwestern Colorado 1860-1881 – The history of early mining and transportation history in Southwestern Colorado up until the time of the removal of the Ute Indians from the area. St. Louis, Rocky Mountain & Pacific Company – The St. Louis, Rocky Mountain, & Pacific Company began in New Mexico in 1905. The coal mining company became the largest coal producer in the state. Jean “John” Baptiste Richard – Jean ‘John’ Baptiste Richard, Sr. was a trapper, trader, interpreter, and entrepreneur, who managed several trading posts in the west and built bridges. 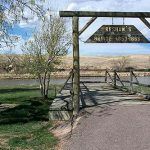 Fort Bernard, Wyoming – Fort Bernard, Wyoming was a small trading post located along the Oregon Trail about eight miles southeast of Fort John (which later became Fort Laramie). Fort Lupton, Colorado – Fort Lupton, also called Fort Lancaster, was a trading post established in 1836 by Lancaster P. Lupton in Weld County, Colorado. Wagon Mound Massacre, New Mexico – Occurring near Wagon Mound, New Mexico a group of ten men traveling with the Mail Express were attacked and killed in May, 1850. 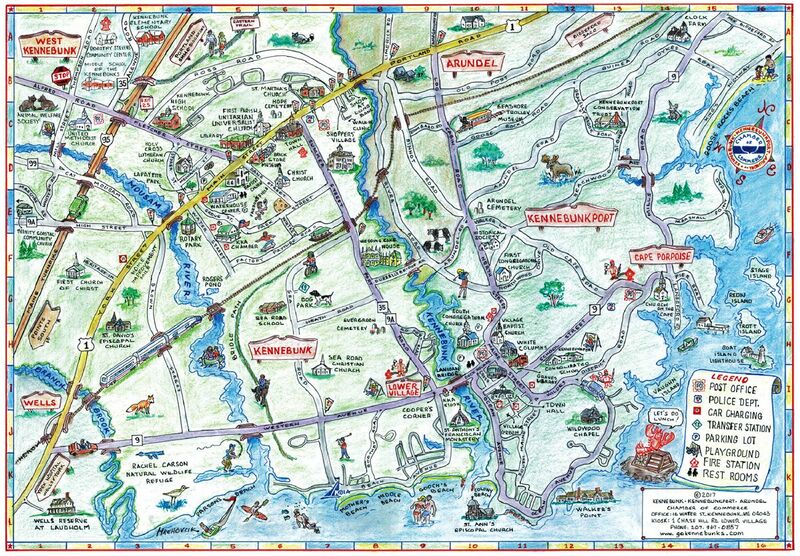 Witch Hunts in Connecticut – While not as famous as the Salem, Massachusetts witch trials of 1692, witch hunts in Connecticut began decades earlier in 1647 and lasted until 1697. June Newsletter – Legends of America turns 15 years old. We take a look back at some of our earliest articles from 2003, along with 15th Anniversary specials. To see what else you might have missed, check out our archive of newsletters here.